Nick Nanton wins Emmy® Award for the Documentary, Return to Esperanza, produced by Dicks + Nanton Productions. Orlando, FL – December 21, 2016 – Nick Nanton recently won an Emmy® Award for the documentary, Return to Esperanza. Since 1995, Esperanza International has funded micro-loans in the impoverished regions of the Dominican Republic. These loans have helped over 200,000 families start and build small businesses, lifting countless women and children out of poverty. In 2012, an Emmy Award-winning director traveled to the DR to document the work of Esperanza. He and his crew have returned to see how Esperanza’s entrepreneurs have changed, grown, and transformed their lives and the lives of their children. As a whole, Dicks + Nanton Productions won two Emmy Awards® for Return to Esperanza including Nick Nanton, JW Dicks, Greg Rollett, Emily Hache and Ramy Romany for Documentary – Topical, and Ramy Romany, Robert Hache, Michael Cardwell and Parker Yates for Photography. Return to Esperanza was nominated in other categories including Director and Editor. Alongside Nick Nanton and JW Dicks, Elmer Davis, Jr., Kiely Kreitzberg, and Clay and Shannon Dugas also served as Executive Producers on the film. While Will Shannon and Luis Vicente Garcia served as Producers. A 5-Time Emmy Award Winning Director, Producer and Filmmaker, Nick Nanton, Esq., is known as the Top Agent to Celebrity Experts® around the world for his role in developing and marketing business and professional experts, through personal branding, media, marketing and PR. 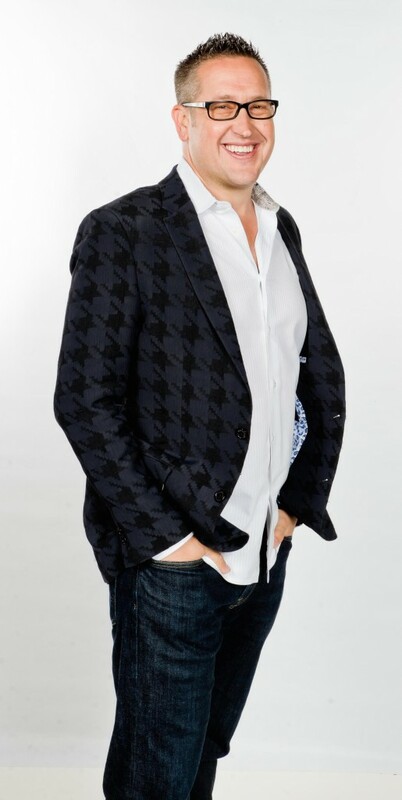 Nick serves as the CEO of The Dicks + Nanton Celebrity Branding Agency, an international branding and media agency with more than 2200 clients in 33 countries. Nick has produced large-scale events and television shows with the likes of Steve Forbes, Brian Tracy, President George H.W. Bush, Jack Canfield (Creator of the Chicken Soup for the Soul Series), Michael E. Gerber, Tom Hopkins and many more. Nick is recognized as one of the top thought-leaders in the business world, speaking on major stages internationally and having co-authored 36 bestselling books, including The Wall Street Journal Best-Seller, StorySelling™. Nick has been seen in USA Today, The Wall Street Journal, Newsweek, BusinessWeek, Inc. Magazine, The New York Times, Entrepreneur® Magazine, Forbes, FastCompany.com and has appeared on ABC, NBC, CBS, and FOX television affiliates around the country, as well as E!, CNN, FOX News, CNBC, MSNBC and hosts his own series on the Bio! Channel, Portraits of Success. Nick is a member of the Florida Bar, a voting member of The National Academy of Recording Arts & Sciences (Home to The GRAMMYs), a member of The National Academy of Television Arts & Sciences (Home to the EMMYs), The National Academy of Best-Selling Authors, and serves on the Innovation Board of the XPRIZE Foundation, a non-profit organization dedicated to bringing about “radical breakthroughs for the benefit of humanity” through incentivized competition, best known for it’s Ansari XPRIZE which incentivized the first private space flight and was the catalyst for Richard Branson’s Virgin Galactic. Nick spends his spare time serving as an Elder at Orangewood Church, working with Young Life, Downtown Credo Orlando, Entrepreneurs International and rooting for the Florida Gators with his wife Kristina and their three children, Brock, Bowen and Addison.